On Saturday, both of us, Kristi and Marjorie, presented chart workshops at the Teachers College Reading and Writing Project’s Saturday Reunion. It offered a wonderful opportunity to see so many of you and to hear how things are going. We also found that many of you had similar questions about charts, so we decided to put together a list of five chart tips to help answer your wonderings. Some are recurring, some are new, but we hope you find these tips helpful. 1. Where do you buy those repositionable glue sticks? These glue sticks are amazing because they turn any piece of paper into a sticky note. Just a few swipes across the top of a piece of paper, then let it air dry for about a minute, then you can stick it up on most surfaces. The best thing is there is no residue left over when this homemade sticky note is removed. Repositionable glue sticks are made by such brands as Elmers, Scotch, and Avery, and can be found in most office supply stores, as well as art stores and craft stores. We suggest the jumbo size because once you start using them you won’t want to stop. 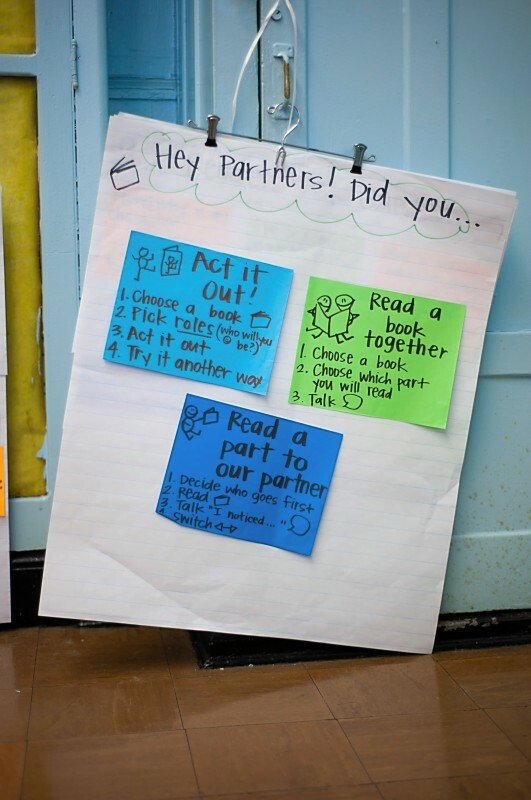 This second grade reading chart was created using fluorescent colored copy paper that was turned into sticky notes using a repositionable glue stick. 2. Where do you find pink (and other colors) chart paper? In addition to basic white, chart paper comes in pastel or brilliant colors. Brands such as Pacon or Top Notch can be found in most teacher specialty stores and some office supply stores or online. One way to use colored chart paper is to use one color for all the writing charts, another color for all the reading charts, and another color for all your math charts. 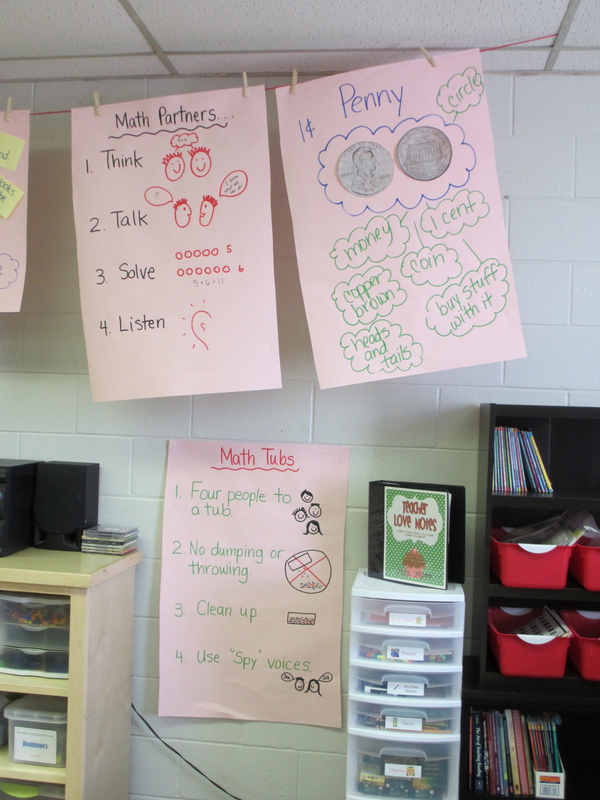 For example, Tammy Marr, at City Heights Elementary, made all her math charts on pink chart paper to make it clearer that they all go together. But don’t worry if you don’t have colored chart paper. White chart paper provides crisp contrast to the print and the visuals you put on the chart which is highly effective. 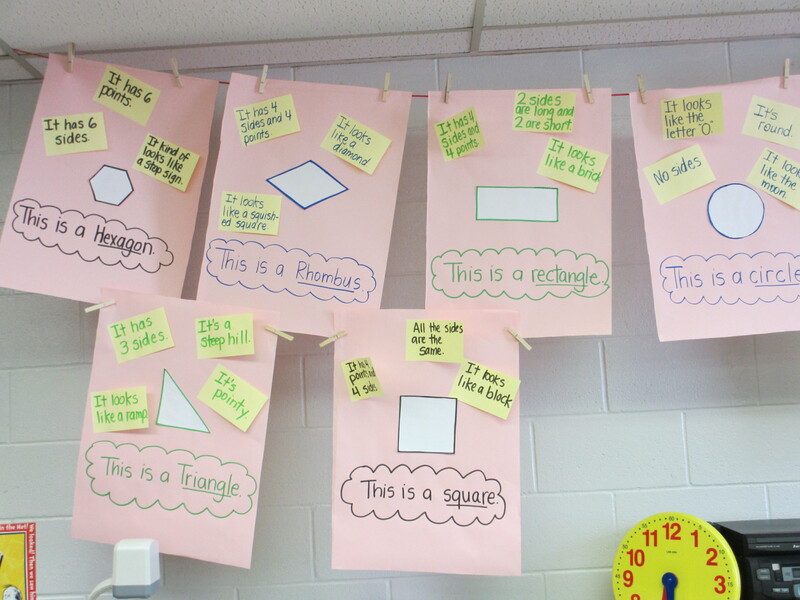 The pink paper is what links these math charts together. We addressed this question in an earlier post and in Section 2 of our book on pages 43 – 46. Table charts or table tents are one solution and provide a portable method for bringing the charts to the children on an as-needed basis. They can be made from simple file folders or three-ring binders. Skirt hangers are another tool for collecting and storing like charts together that can be brought out as needed. A sketch book is another handy tool for organizing your charts. This sketchbook makes a portable container for charts. 4. What do I do with old charts? First of all, a chart is old and ready for retirement when it is either dusty, yellowed, or no longer needed (see Section 3). Hopefully those beginning of the year routine charts are in this last category – no longer needed because your students have now internalized these classroom basics. Skirt hangers can come to the rescue once again by hanging old charts on skirt hangers and hanging them in a closet. 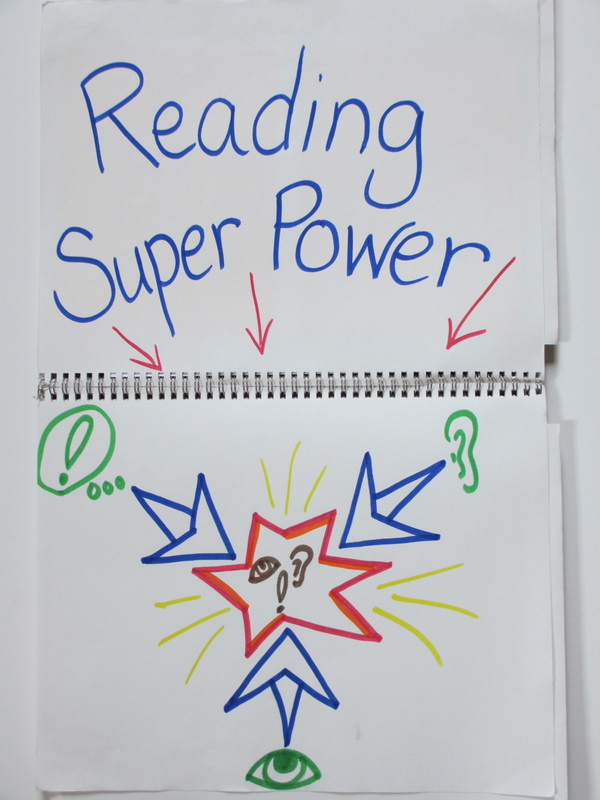 Or you can gather them together and turn them into a big book by having the kids make an illustrated cover and put them with the other shared reading texts. And Janet, a Chartchums fan, staples one chart on top of another on a bulletin board. She loves when she sees children go up to the charts and flips through them when they need an archived chart. Of course, retired charts can be brought out of retirement anytime they are needed. A skirt hanger holds a cluster of charts ready when needed. 5. How do I get my students to use the charts? 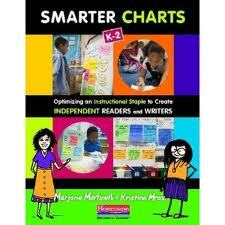 The more you and your students touch a chart the more important the chart becomes. 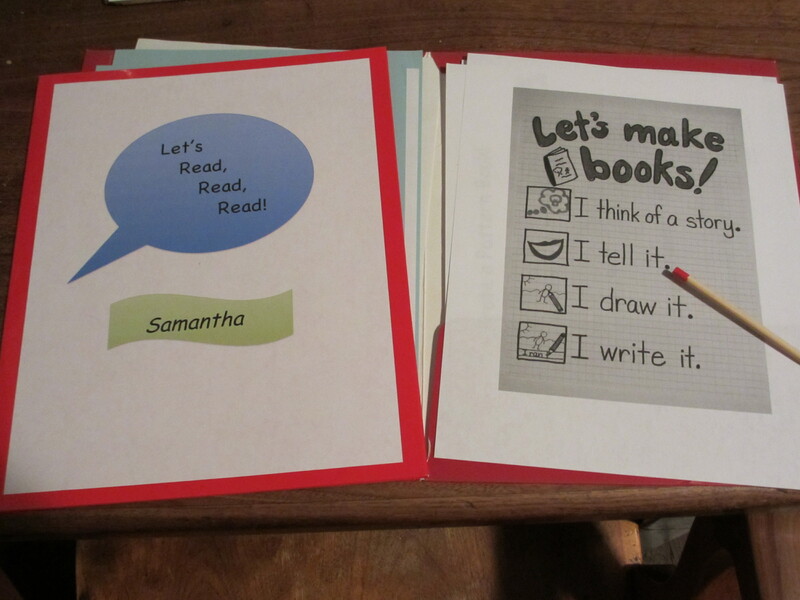 Bianca Lavey, a Kindergarten teacher at the Buckley School in Long Island, photographed her charts and added them to the children’s shared reading folders. Each morning the children start their day by reading the charts in their shared reading folders, along with the poems. She reports that the kids love reading them to each other and often quote the charts during reading and writing workshop time. How cool is that? Shared reading folder with pointer. We hope these tips have been helpful. Let us know what other questions you have about charts or tips you can share that have worked for you in your classroom. Teachers are an amazing group of people. They are not only creative, conscientious, and curious, they are also incredibly generous and sharing. We have heard from many of you and want to share a few here. Amy Newman is a teacher who has quite the way with words. 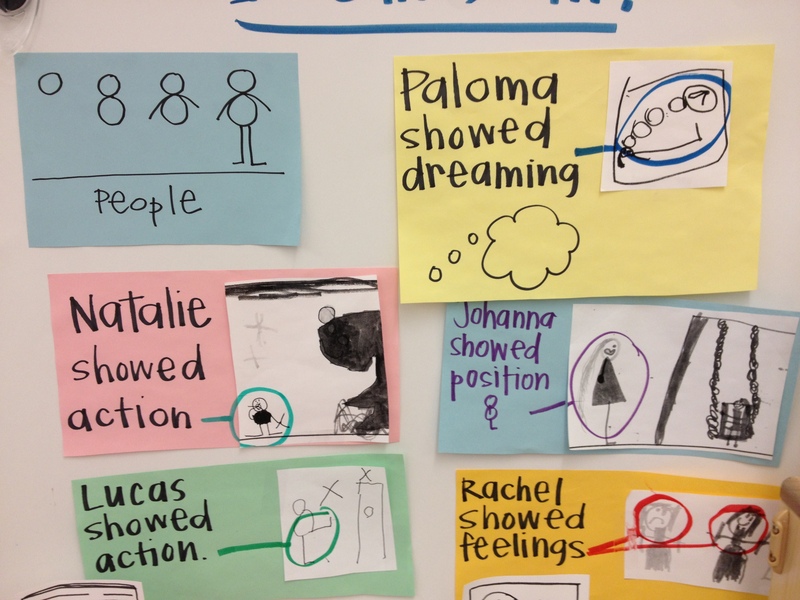 She has created a wonderful assortment of headings for each of her charts that are designed to engage her students and draw them in to what each chart is teaching. She uses rhyme and rhythm to help make the headings stick in her students’ heads just like an advertising jingle stays in our heads forever. The headings make what she is teaching memorable and the students can often be heard chanting them as they head off to work each day. 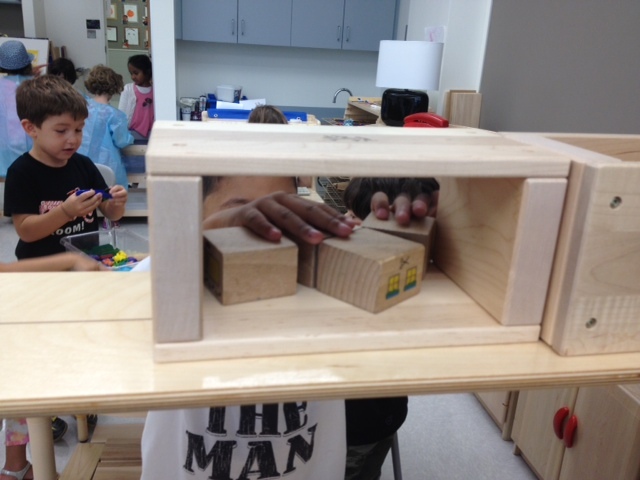 Thanks Amy for sharing your clever ideas with us. Nancy Burrill, a teacher from Seattle, Washington who has been teaching for 34 years, sent us a note letting us know how helpful the book has been in her first grade classroom and how well the ideas work with The Daily 5/Cafe. She also sent along a couple of samples of her favorite chart making pens. 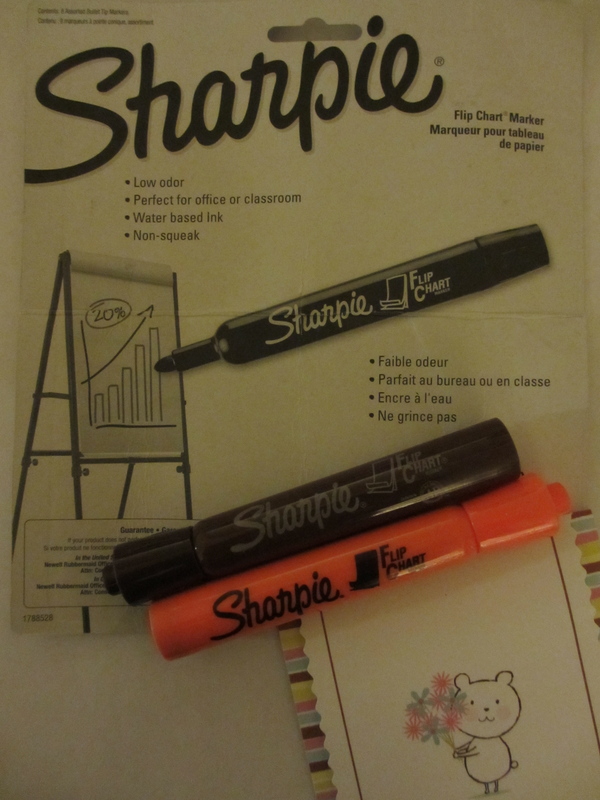 They are the Sharpie Flip Chart Markers. The colors are rich and they flow easily and without a stink across any kind of chart paper. Thanks Nancy for sharing. 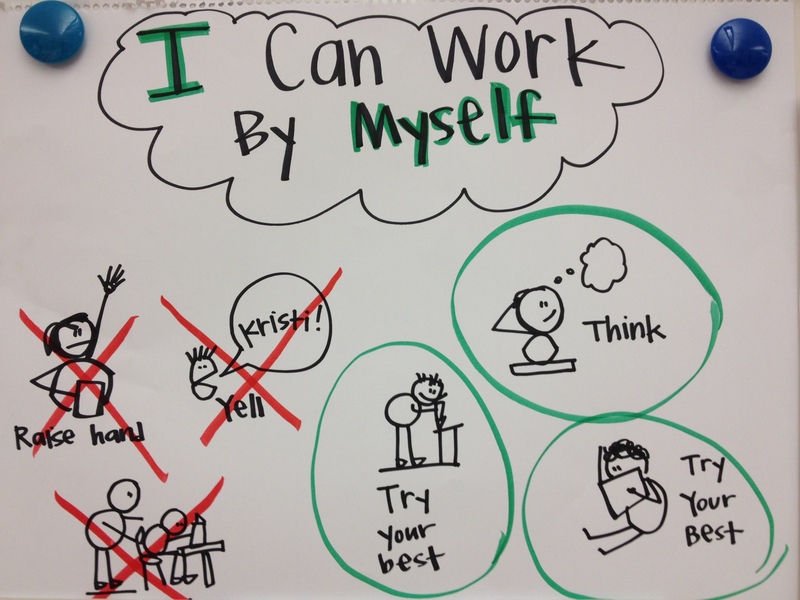 Lisa Ockerman, a literacy coach from the Pinecrest School, was planning for a small group and remembered a chart she had used last year with a class of first graders. But when she looked at it she questioned whether or not it would support the young readers she would be using it with this time around. There was lots of print, very little visuals, and not very clear as a result. 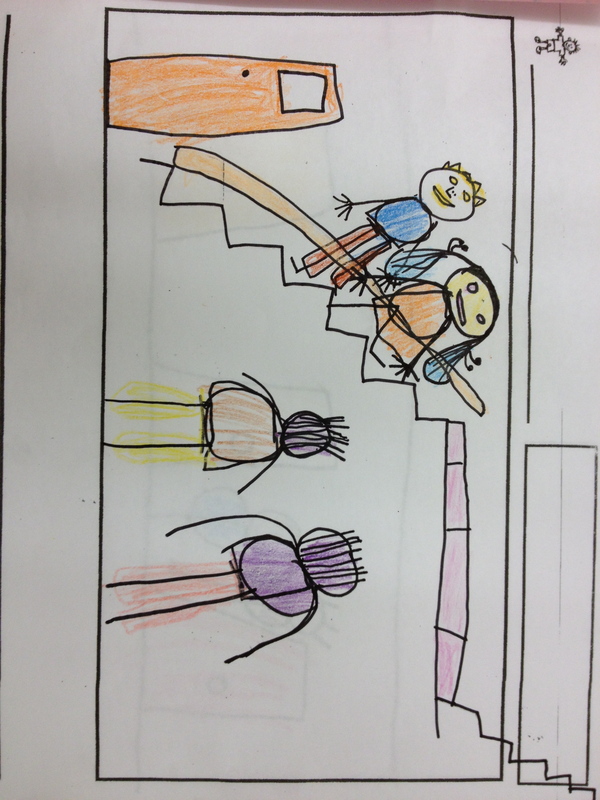 So she decided to revise the chart, making the text simpler, the graphics bolder, and with clear pictures as examples. 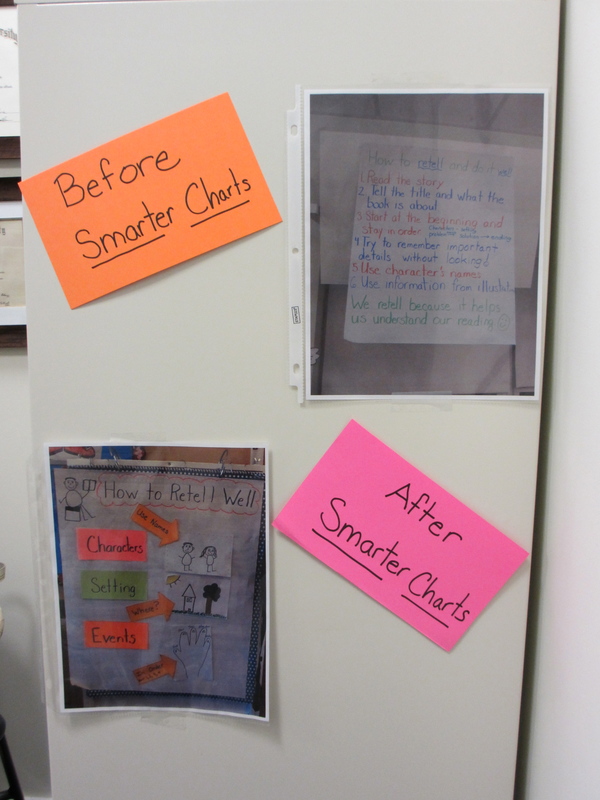 She shared with us the two charts, one she labeled “Before Smarter Charts” and the other, “After Smarter Charts.” She said the new version of the chart was not only more effective, it actually took less time to make. Thank you Lisa for sharing the before and after photos. 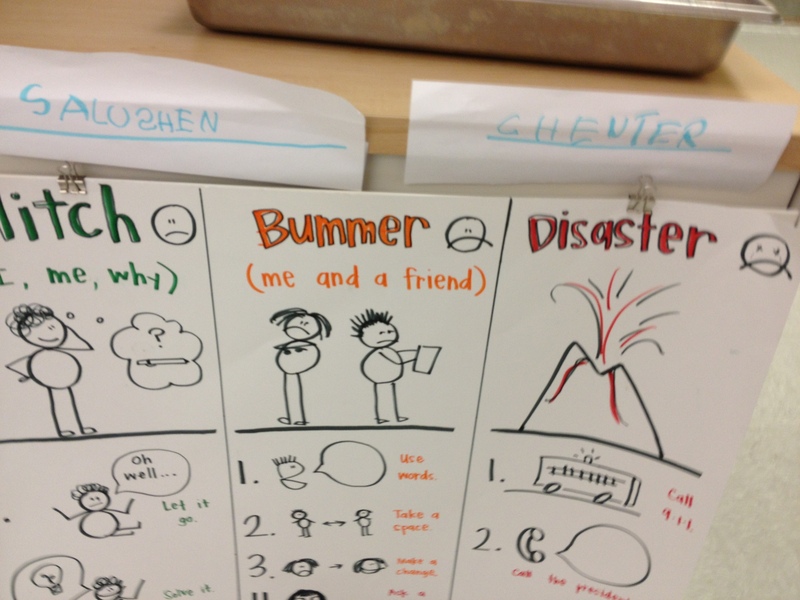 Before and after versions of a first grade chart. So in the spirit of sharing is caring, if you have some charts, tools, or ideas you have found to be super effective you can email photos to chartchums@gmail.com. Upcoming events: We will be presenting two chart workshops at the Teachers College Reading & Writing Project’s Saturday Reunion on Saturday, October 27, 2012. We will also be signing books at the book sale. Stop by and say hi! Just a heads up that Kristi and Marjorie will be guests on Education Talk Radio tomorrow, October 9th, at 3:30 pm Eastern Standard Time. You can tune in and listen live by going to http://www.blogtalkradio.com/edutalk. Larry Jacobs will be conducting the interview and asking about the new book, Smarter Charts and why charts are such an important classroom staple. You will be able to find it archived at http://www.education-talkradio.org if you miss the live webcast. As a follow up to last week’s post, Clarity is Key, we would like to show you how a couple of teachers from Van Buren, Arkansas have tried to make their charts clear and easy to use by revising, pruning, and clustering. Charts no longer need to be seen as static, permanent or precious. Instead of being static, charts should be dynamic, changing to match the needs of students. Instead of being permanent, they should only be up when working helping kids do what we have taught. 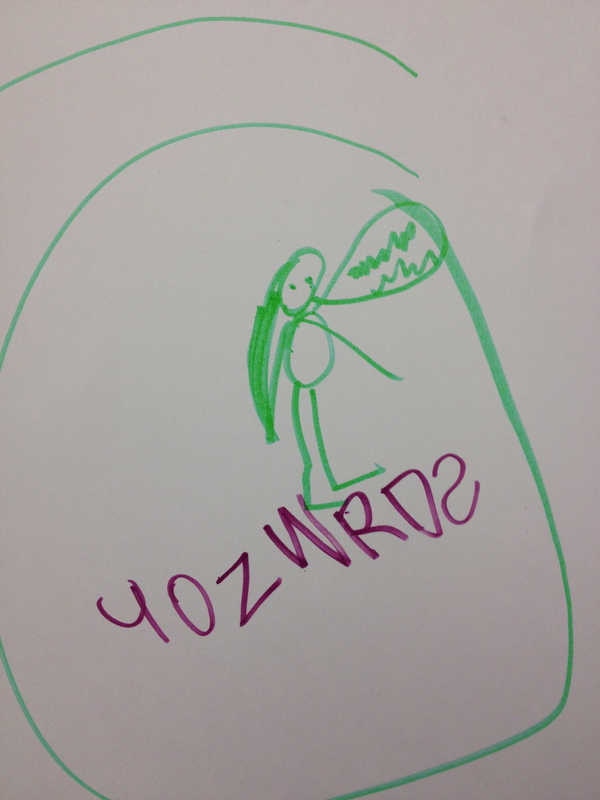 Finally, we as teachers can’t become too emotionally tied to the charts either because of the adorable student photos illustrating them or because of the extensive time and effort put into their creation. At King Elementary School in Van Buren the first grade is currently in the middle of a mentor author unit of study. They are studying Tomie DePaola and have made many discoveries as to what he does as a writer to make his stories so enticing and memorable. 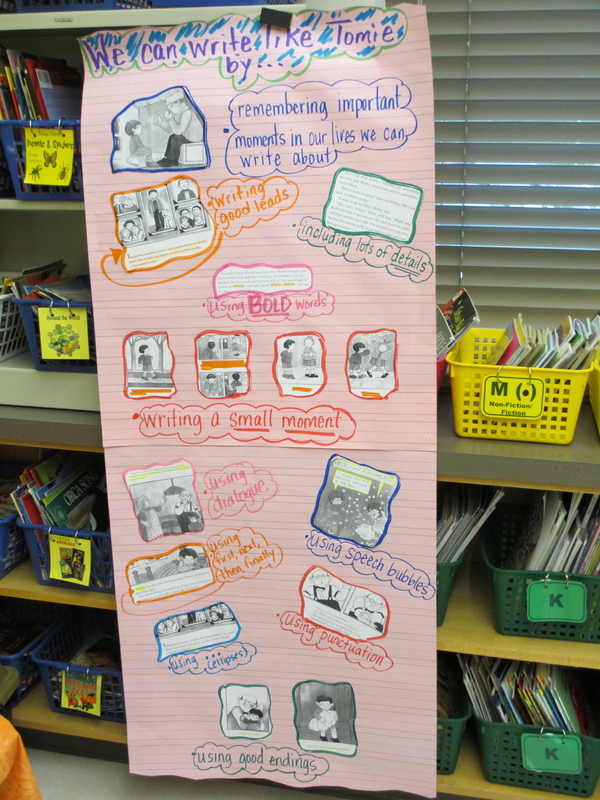 April Evans and her first graders came up with many noticings which she added to a chart along with examples from Tomie DePaola’s books. This chart includes actual examples from Tomie DePaola’s books to highlight the many craft techniques he uses as a writer. But when she looked at her students’ writing she wasn’t seeing many of these craft moves being used. Looking back over the chart she had so carefully put together, she realized that there were so many things on the chart that it was impossible to teach any one of them well. 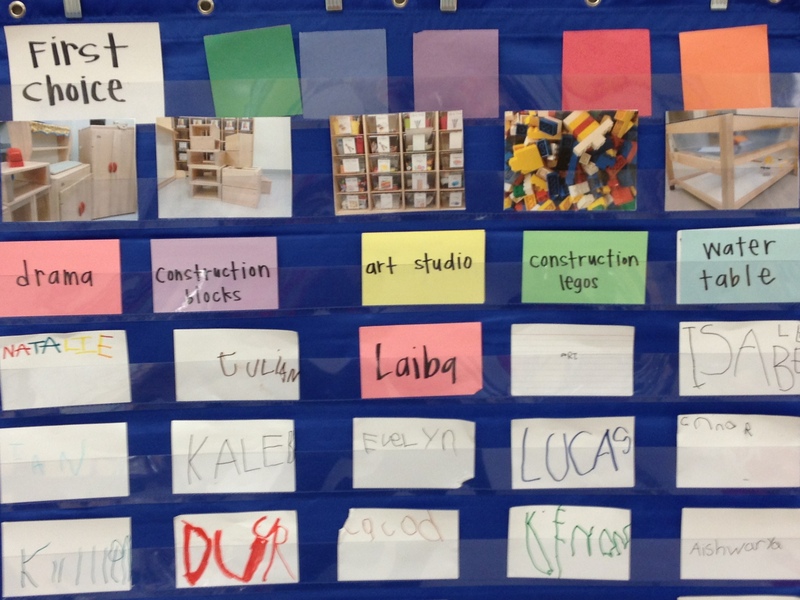 So she chose a few craft moves to teach that would most benefit her students and began a new chart. 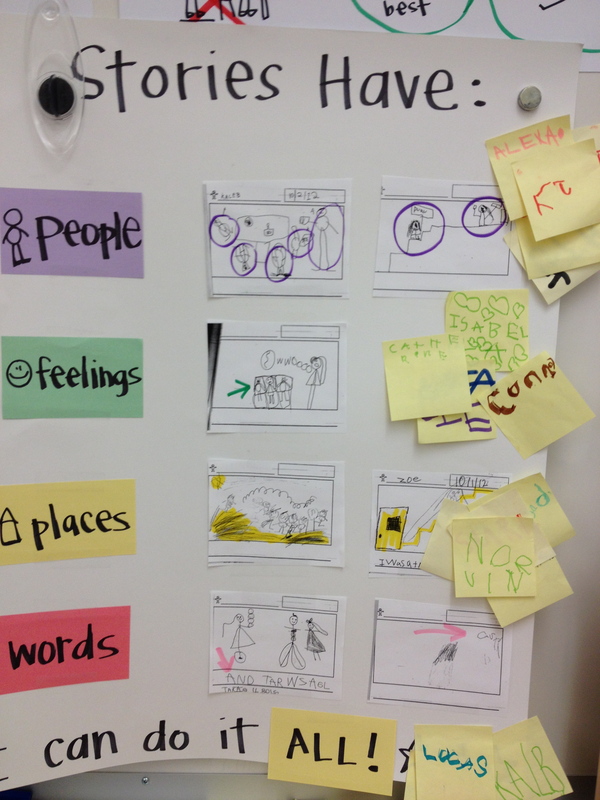 When she saw a few children trying out the strategies she added examples from their writing to the chart. The arrows highlight the child and the craft move he or she used. This is the revised craft chart that encourages children by including examples of classmates who have tried each craft move. 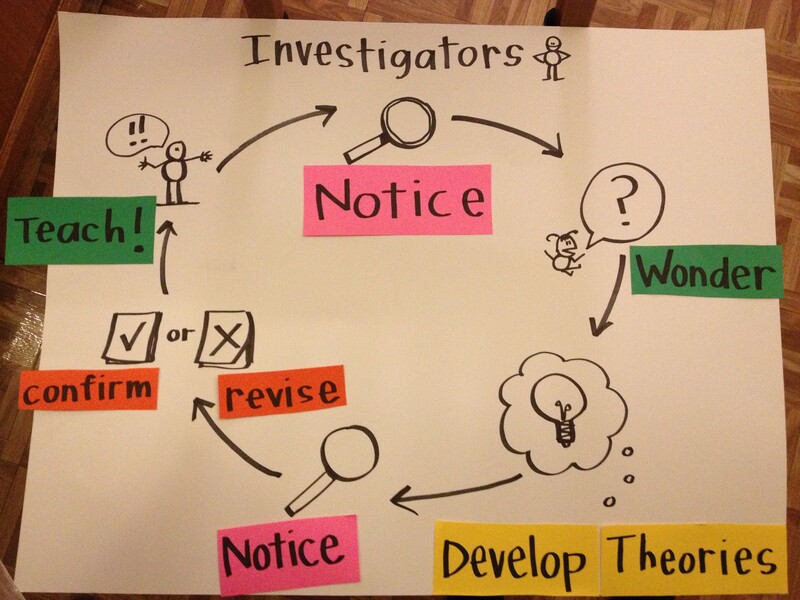 Once she had taught these strategies, instead of continuing to teach new things, she used the chart to remind children of what they had learned and encouraged them to revise all the books they had already written by trying out these craft moves. This got children to practice not just once, but lots of times. 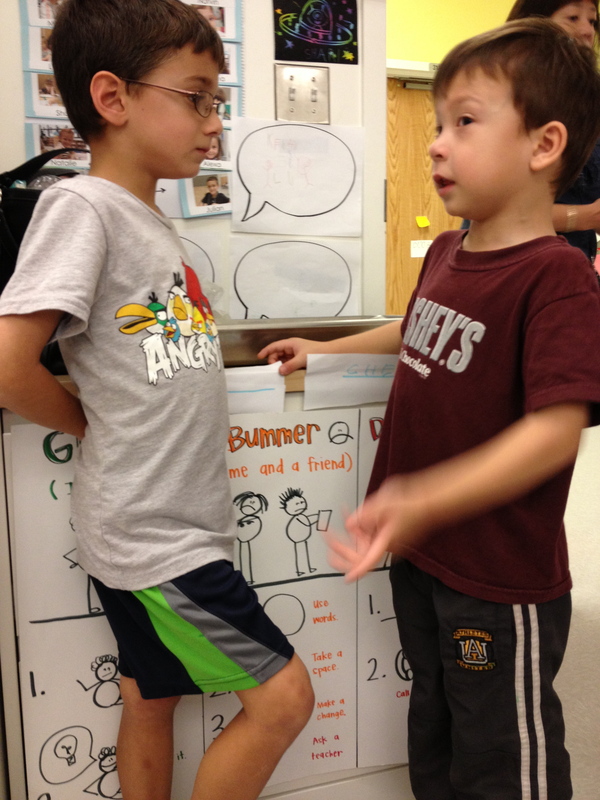 The chart also provided concrete ways partners could talk to each other about their writing. 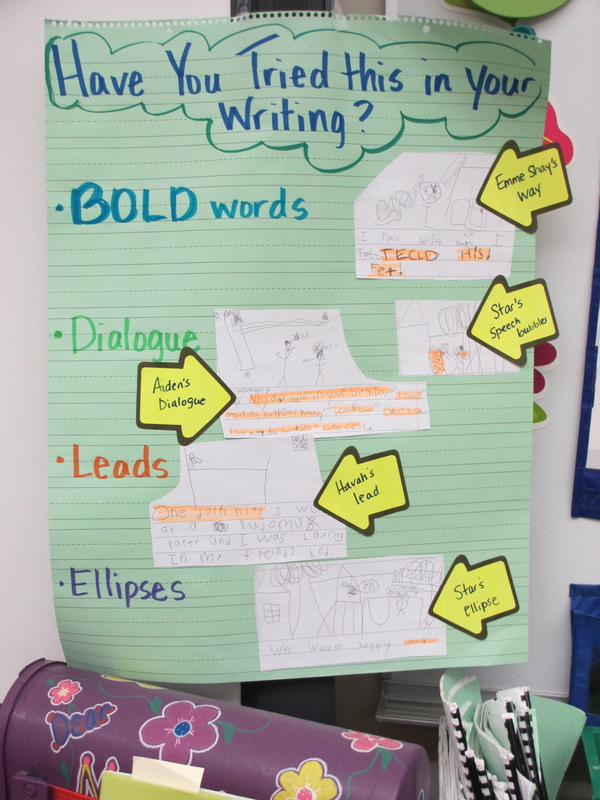 For example, a partner could use the chart to give a specific suggestion like, “Have you thought about adding dialogue here?” Or, “This might be a good place to add ellipses.” Ms. Evans saw an immediate increase in the amount of craft being used in her students’ writing which also increased the volume as well. The children were excited by how quickly they were seeing their writing grow and blossom. 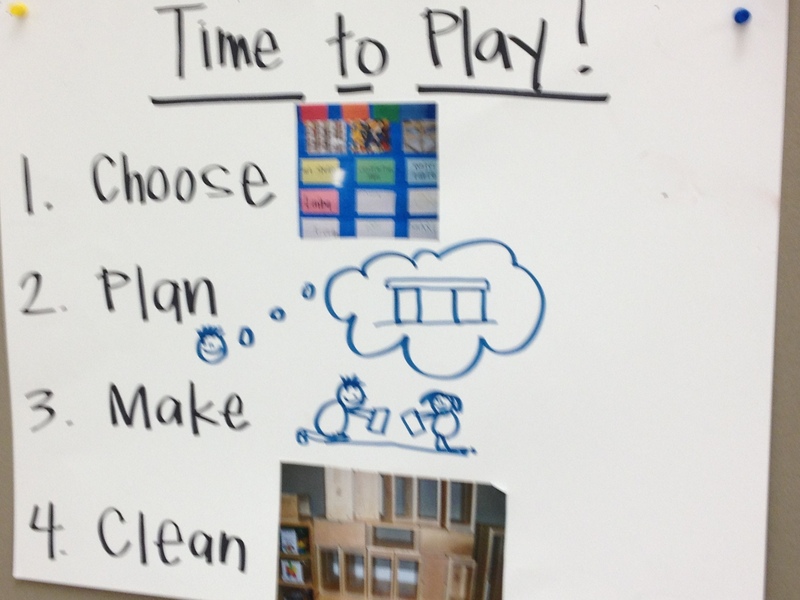 At Van Buren’s City Heights Elementary School, first grade teacher Tammy Marr has been working on organizing her charts by topic and placing them in the classroom where they make the most sense. 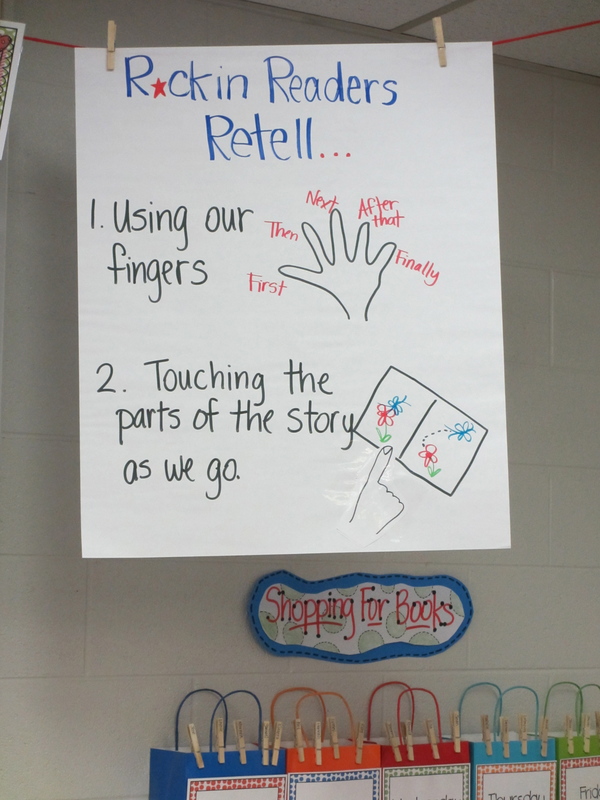 For example, her reading charts hang just above the classroom library where she can remind children to reread them as they are shopping for books. 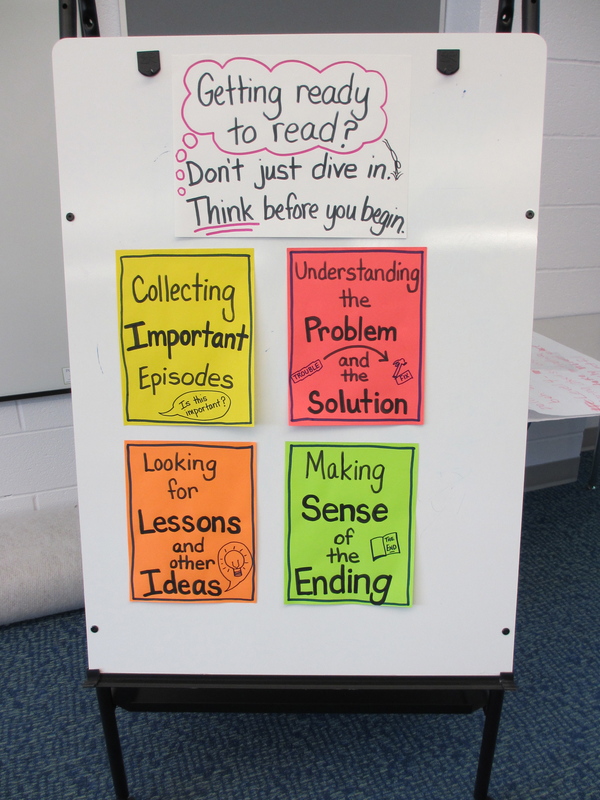 This reading chart hangs above the classroom library. The shopping bags list which day of the week each group shops for books. Ms. Marr has also placed her math charts next to the math materials. She starts each math lesson with a shared reading of the charts so they continue to remain fresh and current in her children’s minds. She tries to keep them simple, using clear pictures to go with each phrase or sentence, and also leaves plenty of white space around each idea so they are not cluttered with information. This makes the charts easier to navigate and use. These math charts are clustered together next to the math center. Many thanks to all the teachers at King and City Heights Elementary Schools for being such enthusiastic and adventuresome teachers as they continue to reflect and revise their teaching and their charts.